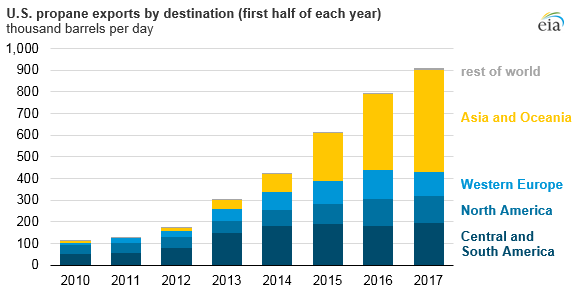 Following the removal of restrictions on exporting U.S. crude oil in December 2015, total volumes of crude oil exports and the number of destinations for those exports both increased. 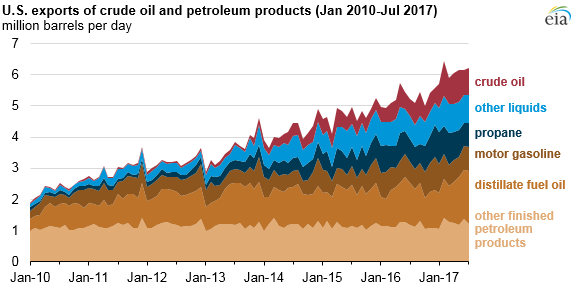 The United States exported crude oil to 27 countries in the first half of 2017 compared with 19 countries in the first half of 2016. 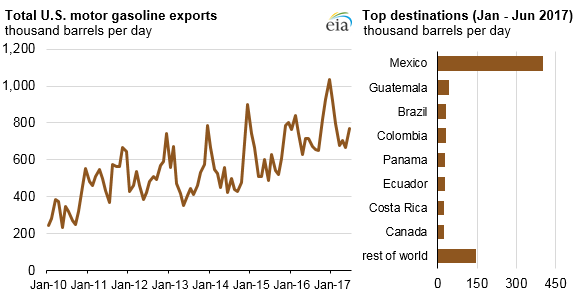 Canada remained the largest recipient of U.S. crude oil exports at 307,000 b/d, but imported an average of 63,000 b/d less compared with the first half of 2016. China increased its crude imports from the United States by 178,000 b/d and became the second largest importer of U.S. crude oil, averaging 186,000 b/d in the first half of the year.